All entry fees for national parks are waived. But many national parks offer visitors more than just the beauty of nature. They also offer a history lesson. WASHINGTON – Many national parks offer visitors more than just the beauty of nature. They also offer a history lesson. Prince William Forest Park has some World War II history behind it that many people may not be aware of. Over 6,000 people trained in the park, near Dumfries, Va., to be spies, to intercept radio signals and to do translation, says National Park Service Director Jon Jarvis. “This is a very important place, in terms of the training ground that helped us win World War II,” he says. People also trained at Catoctin, which is now known as Camp David. 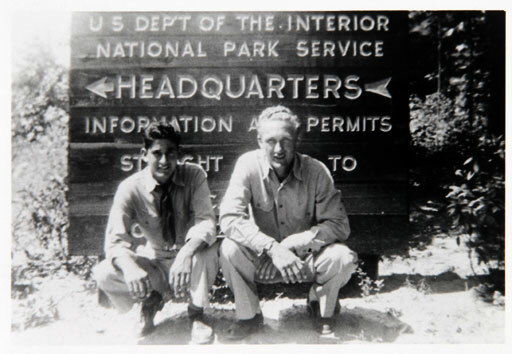 During the Great Depression, the Civilian Conservation Corps (CCC) was one solution to the widespread joblessness that America faced. President Franklin Delano Roosevelt took men from their homes and gave them jobs in the woods. Millions of people were in camps across the country doing restoration work, planting trees, building trails and facilities. Some of them worked in Prince William Forest Park. Jarvis, whose father was in the CCC, says it hardened that generation, which in turn helped prepare the nation for the war that followed. This week is a good chance to learn more about the parks history. It’s National Park week, so admission to all National Parks is free.